If you decide you want to sell your diamond in the future it’s imperative that you take great care of it now! Diamonds may be one of the hardest stones on the planet but they are not indestructible and require some care to ensure their brilliance lasts through the years. We are M.I. Trading, your top Austin diamond buyers and we want you to get the top price for your diamond when you choose to resell so we’ve compiled a convenient and easy to follow list of tips to maintain the brilliance, shape and integrity of your stone. The cost of some of the world’s most expensive diamonds is shocking. To ensure they stand the test of time, be sure to keep your diamond jewelry individually separated from other pieces to prevent surface scratches and dents caused by friction. Storing jewelry in fabric-lined cases with separate compartments is ideal. If you don’t have an appropriate case another option is to individually wrap jewelry in soft tissue paper or purchase jewelry pouches for each piece. A hard blow to your diamond can still inflict damage so it’s best to remove rings and diamond jewelry during heavy yard work or extreme physical activity. Your fingers can shrink slightly in cold water and there is no worse feeling than losing a valuable diamond while indulging in a dip in the pool. To be safe just store your ring to the side before participating in any sports. Everyday exposure to cleaning materials and creams can also dull the luster of your diamond unnecessarily so be sure to wear gloves while using cleaning supplies. Take your rings to be regularly inspected and make sure the setting is secure. 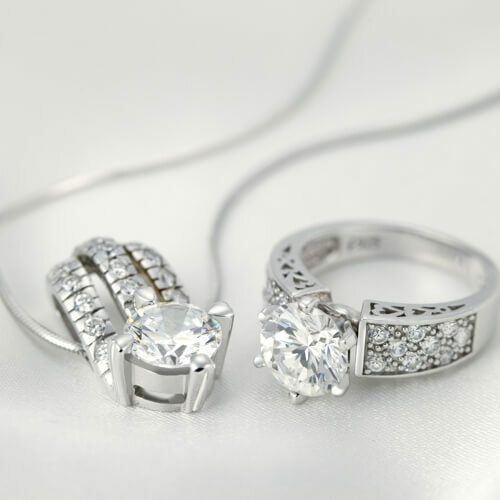 If you notice any wear and tear than promptly bring pieces to a professional jeweler. It’s a good idea to have your diamond jewelry examined at least once a year by a professional who can perform any necessary repair work and expertly clean stones while they are at it. Adding your stone to your insurance policy can provide that extra peace of mind in the event of damage. Some companies will allow you to add the ring to your current homeowner policy and others may ask you to take out a separate policy with special provisions in the event of “mysterious disappearance” or in order to provide reimbursement for repair. Your diamond is your investment so treat it that way. Following simple care guidelines can prevent countless headaches down the line and save you money in the long run. Protect your investment and take good care of diamonds now to receive maximum returns later. Easy Diamond Care Guide https://austindiamondbuyer.net/blog/easy-diamond-care-guide/ 4.1/5 based upon 22 reviews.